Tired of doing laundry? Not enough time in the day? Too many other responsibilities? Let Sandy’s Coin Wash do it for you. 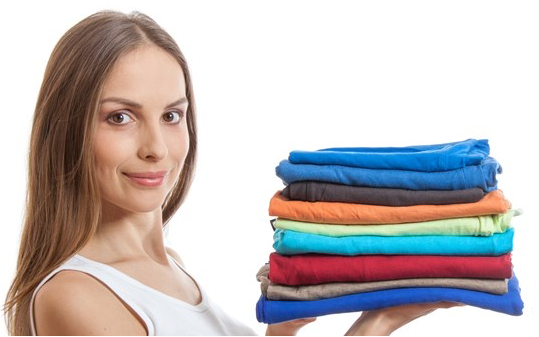 We are the largest capacity Antelope Valley Wash and Fold service you will find with over thirty years of experience under our belt. We use only premium brand products for our Fluff and Fold such as Tide, Oxi-Clean, Downy, Spray n Wash, and Bounce dryer sheets. When you bring your garments to our Laundry Drop-off location at Sandy’s Coin Wash, you can rest assured that your items are in experienced and caring hands. We sort all clothing into whites, lights, and darks, while verifying that all items are machine washable. Your clothing is washed and dried completely separate from all other orders and all items are immediately hung on hangers or folded as they are removed from the dryers, resulting in a wrinkle-free, fresh pressed look. We will also match and fold your socks and there is no extra charge for kids clothing. Have special instructions? Just let us know! Our laundry cleaning service is more than happy to meet any special requests. Trust the experts! Let Sandy’s Coin Wash do your laundry for you. We are the premiere Wash and Fold service in the Antelope Valley. Too busy to drop off your laundry? No problem, we offer Pickup and Delivery services!